Ron and Hermione. 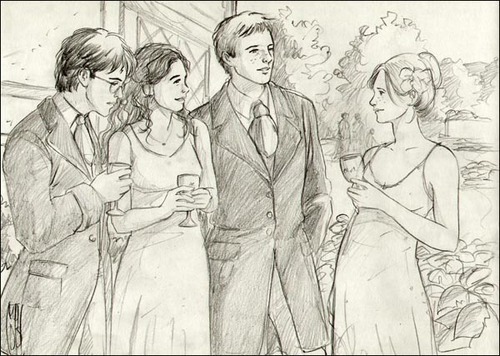 imagens from ArtDungeon.net, which has cute doodles of scenes from the books.. Wallpaper and background images in the romione club tagged: ron hermione harry potter romione. Ron and Hermione, Harry and Ginny - Bill and Fleur's Wedding. This is so cool :D! !